Some people are a disgrace, an insult to the rest of us. 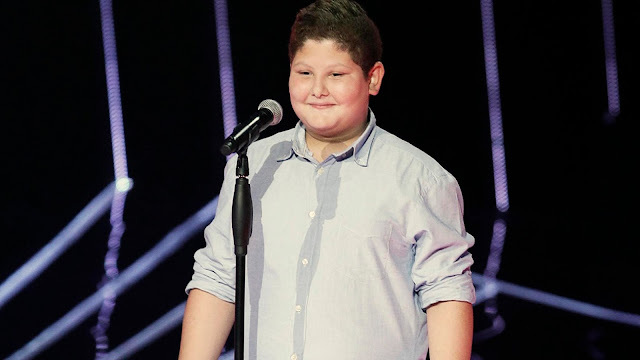 Those who are mocking Zein Obeid, one of the The Voice Kids finalists, because he’s overweight are such people. Personally, I don’t care about The Voice, Kids or otherwise. Never liked TV singing pageants. Even if over the years they’ve revealed amazing talents that, in their own way, have made the world a slightly better place – one of them was called David Bowie. But I can’t sit idly by while some morons are bullying a kid because of his weight. I propose we do something about it. I propose we tell Zein he’s beautiful. Not to boost his ego or compensate for the bullies’ crap, but because that’s what he truly is. With a voice like his, courage like his, talent like his, with his hopeful eyes and shy little smile he’s closer to true beauty than his haters could ever be. Let’s tell him he’s beautiful. Let’s make him our Facebook profile picture, just for a day. Let’s remind him that some names are predestined, and that his – Zein in Arabic means beautiful – has rarely been so well deserved.